I believe that good nutrition in early years is a solid foundation for a healthy life of a tiny human. With healthy and varied diet we instal important habits that will last a life time and give children a proper fuel they need for all they developmental needs. We as care givers (may it be Nanny, grandparents, parents, childminder etc) have to come up with a million new dishes, snacks and tasty treats that are going to win over little ones. Sometimes you succeed and sometimes you fail, but the ones that they like, will mostly likely become you go to recipes for any day. 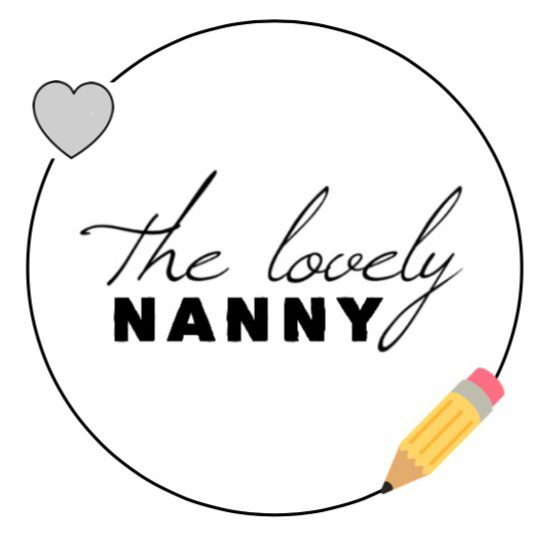 As a Nanny (and I’m sure every parent too) I want to cook meals that as healthy but easy and take little to no time to prepare. I also want to be mind full about food waste, and want to make up the recipes, when I can use leftover from the day before. So I came to love these few go to recipes and wanted to share them with you. Some of them are one time favourite and few are a recent development that was well accepted by picky eaters. Two ingredients and such a yummy result. Mash banana and mix in an egg. I also add some vanilla to make it even more appealing. Pour small amount on hot pan and flip after a few min. You do have to be a bit more softer with these as they are quite delicate. Serve them with some yoghurt and blueberries. I rarely measure this recipe as I always do them with kids running around, and once you do it lots of times, it sort of just happen. But for the sake of you knowing how much and what to put in, here is a version of it. Hand mix 2 eggs, add a cup of milk and vanilla. In a separate bowl mix 1 and a half spelt flour with a table spoon of baking powder than slowly add to the wet mixture and try not to leave to much lumps (but if there is any – oh well that is life). Consistency is quite thick, but it still pours nicely. You know the rest! Is also a good snack or dessert, but so so yummy for breakfast when it’s cold outside. It’s much faster if you have some left over rice in the fridge and you can speed up the process. So than you put a cup of cooked rice in a source pan and ad a cup of milk, vanilla, cinnamon and a pinch of salt. Leave to boil until the milk is reduced and rice is creamy. Serve in a bowl with some berries and a drizzle of maple syrup (or honey). If you do it from scratch than you would need to add more milk (double) and it just takes longer as the rice is not cooked. These are great for summer mornings, easy to prepare as you do most the night before, and basically just serve it next morning. TO DO: Put half of a cup of rolled oats in a glass jar, add 3 spoons of yogurt and half a cup of milk of choice. Also add cinnamon and raspberries. Put in the fridge over nigh. In the morning take it out of the gas jar and add a little warm milk, just so it’s not super cold – more like room temperature. Boil one potato, grate one carrot – tap it with a kitchen towel to absorb the excess water, add egg, salt, pepper and majaron. When potato is cooked mashed it with a tea spoon of butter (coconut is best) and add to the carrot mixture. To all that add spelt flour and spoon out portions on hot skillet. Brown it on both sides – It does not take long – and take out on to the kitchen towel to absorb extra oils. Serve with some peas (or any other green veg). This quick meal is great when you have left over rice. It’s so easy to make, but at the same time it provides all the right nutrients that the child needs, and it’s a finger food, which is especially good when the baby does not to be feed anymore. It’s also a good way to get kiddos eat egg, if they don’t like it on it’s own. Just mix egg with some rice and grated carrot (1 egg, small carrot and 3 spoons of rice). Add spices and herbs of choice. Pour it on the hot pan (medium hot) and bake until it’s solid enough to turn around, and than sometimes I will sprinkle a little of parmesan cheese on top to add another flavour. serve with some veg – we tend to go for peas a lot as that seems to go down well, but I offer green beans and edamame as well with this meal. Sauce: 2 table spoons of apple cider vinegar, 2 table spoons of sugar (coconut), 2 table spoons of ketchup, salt to taste. Bring to boil and add 1 tea spoon you previously mixed with 3 table spoons of cold water. Add and take of the stove (it will thicken quickly). Veg: Cut Carrot and red peppers to bite size pieces and steam them until tender and add them to the pan with chicken to fry for a min or two. Transfer everything in a bowl and add the sauce. Such a simple thing to do and lovely autumn dish. I love the recipes you put in the oven and a while after it’s dinner! They work especially good, when you cook while looking after the kids. I tend to pre cut the vegetables when children nap and than a little before it’s dinner time, I will pop it then oven, and it will be nice and fresh. Cut butternut squash, red peppers, courgette, celery and beetroot. Put them all on the baking tray. Drizzle over some olive oil, add salt, pepper and rosemary. Roast until tender and nicely brown and crisp. Take them out of the oven and crumble feta cheese over the tray. Serve with cuscus. The ultimate meal that even the most picky eaters will love. I adopted the recipe from the wonderful Annabel Karmel and can now do it with my eyes closed. Only thing I change is I use majaron and not thyme, and I don’t use sugar. I love to make a big batch and just have portions on hand in the freezer. It really can save you on the days that are just to crazy. And on top of that it is a delicious and hearty meal full of hidden veg. Definitely head on her web site for more yummy recipes. I hope that gives you some inspiration and ideas for your future meals. I am by no means a trained chef, but some would say I am a tiny humans chef, and as we all know, it’s not easy to be one of those! What we all wish is for them to eat a well balanced diet and grow up healthy. I would be a so happy if I had help sparked some ideas to help you in that process. As always Sharing is caring! I like easy – trow in a bowl – cookie recipes that you can easily do with kiddos. This one is exactly that! We did the dough before lunch and baked it after so we could enjoy a nice little treat in the afternoon! Baking with kids is so special and they are always so proud when they do something! So here we go, have a try yourself! We of course added some sprinkles and I made a quick frosting with sugar and lemon so they could stick on. But the cookies are delicious on it’s own as well! Let me know if you try them! Sharing is caring! I try and do some cooking an baking with kids now and than. It’s a great way to learn patience, measurements, and just the way around life. Cookies are of course the best, because there is so much they can do-making the dough, rolling the dough, pressing the shapes – and they also get to decorate them once they are baked! What a joy! Look what we were able to do this year! We made the dough together and than rolled it out. I let the kids do as much as possible and we had lots of fun. It is great to watch them when they try and choose all the cookie cutters we have, add things on top and just really enjoy themselves. We also had Christmas music on the whole time, and had a little dance party every time in between when we had to wait for one batch to be done. Squeeze butter and flour together until it becomes all dry and dusty and there is no more bottle visible. Than add baking powder , vanilla and baking soda. In a separate bowl mix sugar and egg yolks. Also add the cream. Mix dry and wet bowls together and use your hands while doing it! It’s the most fun and the kiddos can join! Bake on 170 for about 11 min (depending on how thick you make the cookies, your owen …but the cookies should be pale when taken out). Nothing says ”fall is here let’s get cosy” as the smell of banana bread around the house. I have been using the same recipe for a long time, and it it very easy, as most of the time I’ll bake with children. The result is always amazing and just the thought of having a decent recipe that I can count on on every time is pretty cool. That is why I would love to share it with you, as you might be looking for one just now. I searched for a healthy one and stumbled upon that one. Its from the blog called ”Cookie and Kate” from the author Kathryn Taylor. The reason I prefer healthier versions is as I am not too comfortable to give children lots of unnatural sugars or white flower. I think these ingredients have no nutritional value for them or anyone, and they really need only the best to grown up to be healthy and strong. Ingredients in this recipe are whole and good while they still make the yummiest banana bread you will have. Sometimes we make it in to a muffins and sometimes in to a loaf, really depends on the mood. To add a few notes. When making it with tiny humans, it’s best to prepare everything out already measured. Depending on the age, you might want to measure it together and practice. Let them do as much as possible, it does not matter if there is a few shells when the beat the eggs-you can pick them out! Stirring is their favourite thing, but mostly, being included, no matter the job. There is nothing better than seeing their little faces light up, when they can do the grown up things and than see the final product. Hope you will love the recipe as we do! Please let me know if you make it, tag me or leave a comment!